Ian Myatt is Director of Insight, Channels and Educational Enterprise at the University of Birmingham and is responsible for overseeing a growing portfolio of online and distance learning initiatives including the development of the world’s first fully online MBA to have been accredited by the Association of MBA’s. He also leads the Market Insight and recently established Digital Channel Management teams. Prior to joining the University he was Head of Knowledge and Learning at BBC Online where he led the multidisciplinary team behind the development of BBC's factual websites reaching a collective audience of over 5 million people within the UK each week. Ian has significant experience of using digital media technology to forge a closer relationship between content producers and audiences. He was recognised as a "Hotshot" by Broadcast magazine early in his career and has played a crucial role in developing and delivering high profile digital services across all platforms. Highlights of his career include establishing the network of BBC Local websites, launching the BBC's first IP based television service (Hull Interactive), the introduction of regional programming to digital satellite, the live streaming of BBC Local Radio, the realisation of the BBC iPlayer catch up television and radio service, and the transformation of the factual and learning portfolio including the redevelopment of BBC Bitesize and the launch of BBC iWonder. Ian is passionate about the arts; he is a Trustee/Director of Performances Birmingham Limited (the charity responsible for Town Hall and Symphony Hall in Birmingham). He has served as Chair of The New Streetly Youth Orchestra for over 15 years and founded Made in Sutton, a forum established to promote the take up of arts within Sutton Coldfield in partnership with Birmingham City Council. 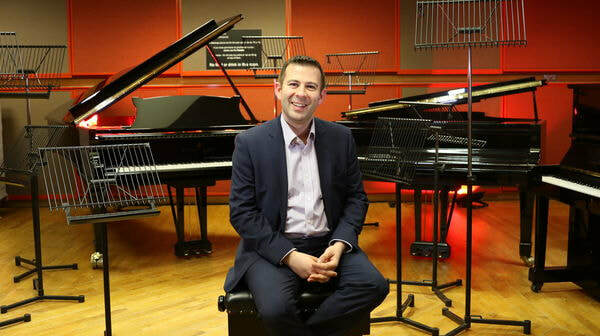 He is also on the board of The Birmingham International Piano Competition and is a Governor of Bishop Vesey's Grammar School.